I would end our cultural dependence on junk food as a means of alleviating pain. Our health and obesity crisis is no longer something to ignore. 2 out of 3 of Americans are currently either overweight or obese. There is always room for some indulgent foods for enhancing positive experiences, but our habit as a society to turn to food to make us feel better when we are stressed or down is really hurting us. The issue of mental health is heavily linked to diet and these junk foods have been shown to contribute to symptoms of anxiety and depression. I pray for a movement where health and mental health is a priority and more people turn to a hug, a walk or journaling when feeling down, versus stress and emotional eating. In the end, you want to feel productive not destructive, and engage in uplifting activities that can help improve your situation in the short- and long- term. I had the pleasure to interview Ilana Muhlstein M.S., R.D.N. Over the years, Ilana, a Registered Dietitian Nutritionist, Educator and Entrepreneur, has become a sought-after weight loss expert. Ilana sits on the prestigious Executive Leadership Team for the American Heart Association and leads the Bruin Health Improvement Program at UCLA. By the time Ilana was 13 years old, she weighed over 200 pounds and struggled with losing weight, emotional eating and diets that didn’t work. While most kids dream of becoming pop stars or famous athletes, Ilana’s early inspirations were the knowledgeable registered dietitians she met every summer at fat camp. She became one herself the first chance she got and used everything she learned to lose 100 pounds. Since then, she’s built a thriving private practice in Beverly Hills and helped hundreds of people lose weight happily — and keep it off. “What I wanted was a way to eat a lot of food, be satisfied, and still lose weight. Nothing existed, so I figured it out myself. I studied and became a Registered Dietitian Nutritionist, all the while refining my approach,” says Muhlstein. Ilana completed her Bachelor of Science degree in Nutrition and Dietetics from the University of Maryland and her Clinical Dietetic Internship through City of Hope Medical Center (rated top 15 cancer hospitals by U.S. News and World Report). She went on to complete her Masters of Science degree in Applied Nutrition from Northeastern University, the highest standard in the field of nutrition. Ilana ‘s own 100-pound weight loss transformation has given her the cutting edge in weight loss counseling and expertise that she is known for. She has a unique framework for overcoming plateaus, revving up slow moving metabolisms and ensuring a healthy weight maintenance for many years to come. She also specializes in helping patients treat and manage diabetes, heart disease, and obesity-related diseases, as well as pediatrics. Ilana also created the popular weight-loss program called the 2B Mindset™ based on her experience, advanced education, and her hundreds of personal clients both at UCLA and in private practice. Over 200,000 participants have joined the program since its inception. Through her experience, education and expertise, Ilana Muhlstein has built a reputation as a renowned public speaker, active media personality and influencer. She proudly sits on the prestigious Executive Leadership Team for the American Heart Association, and leads the Bruin Health Improvement Program at UCLA. Ilana acts as a nutrition consultant for several prominent companies, including Beachbody, Whole Foods Market, Curves Gyms, PIMCO, Zevia, BFree, and The Wonderful Company. Muhlstein is a sought after expert for publications such as SELF, The Huffington Post, and The Journal of Obesity, and has been featured in the LA Times, The Washington Post, POPSUGAR, Reader’s Digest, SHAPE, Health, Women’s Health and more. Ilana was also the lead nutritionist for “Fit2Fat2Fit”, a reality TV series on the A&E Network. 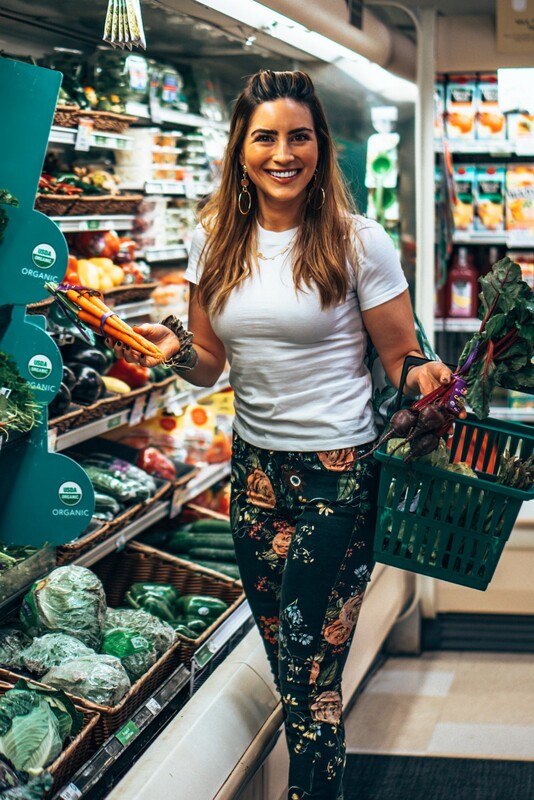 In addition to her lectures at UCLA, Ilana also delivers nutrition seminars, cooking demonstrations and most recently started luxury mind and body reset retreats which she conducts throughout the year all around the country. “My mission is to show people that a healthy lifestyle is easier and much more attainable than they think. I love to empower people through their journey, free them from their insecure past times, and take them into the next amazing chapter of their lives,” according to Ilana. Ilana lives in Los Angeles, California with her husband, Noah, and their two young kids, Olivia and Julian. I grew up being the “big kid.” I was overweight and obese as early as I could remember. My parents and pediatrician sent me to a dietitian and to fat camp as early as 8 years old. Thankfully, I always chose to be inspired, not resentful, and dreamed of making a career out of helping people in my situation do the same. I came up with the slogan “water first, veggies most” because I saw, through my academic research, personal experience, and professional counseling how impactful these four words were at promoting weight loss and a positive relationship with food. I felt as though these four words could help curb the obesity crisis (my lifelong goal) without focusing on the negative or extreme, such as “high fat” or “no carb.” It was also catchy and I saw that the people in my UCLA seminar and private clients were remembering it as they left my office and approached their day-to-day lives. My friend David is an intellectual property attorney and convinced me to trademark it and thankfully, I sold it to Beachbody LLC 2 months later as part of development deal for my encompassing weight loss program, the 2B Mindset™. Selling a piece of IP by 28 years old and seeing over 200,000 people use my mantra to lose weight and live a healthier life makes me so happy every day. My office is walking distance to my house and one day I thought I had a break in my day and ran home to grab lunch and kiss my 9 month old son, Julian. Because I thought I had a full hour to spare, I asked my nanny to run out for an errand while I stayed home with my baby. I was changing my son and he was just wearing a diaper when a high profile client texted me that she was at my office door waiting for our session to begin. I ran over while holding my naked baby and frantically called my nanny to come back. I conducted the first half of our session with an antsy, naked baby climbing all over us. Thankfully my client was very lovely and understanding. No one understands the reality of the weight loss journey quite like I do. I’ve lost 100 pounds and kept it off through having my two children, and counseling thousands of others to lose weight too. I’ve worked with every type of man and woman going through the journey so I relate to people on a whole other level. I host several retreats throughout the year, and I remember this amazing moment with 16 women that came to spend the weekend with me in St. Pete, Florida. We were on a sunset walk, and our group ranged from 20 to 65 years old, and 120 to 320 pounds. When each woman spoke about their current situation and next goal, I was able to personally relate. I understood the milestones of having less chub rub, leaving the plus size department, zippering up a knee-high boot, and having less lower back pain. I also related to the women there looking to conquer the last 5 pounds and fit into a size 2. The women were in disbelief at the versatility of my background and ability to provide tips for the girl shedding for the wedding or to the widow in the peak of her menopause. I have so many exciting projects in the works that people are going to love. I am launching a channel on Fab Fit Fun TV called “Always Improving” that will focus on everyday enhancements to a healthy lifestyle including recipes, at-home workouts, and tips and how-to style videos. In addition, I have some amazing retreats lined up, health educational videos in the works, and am in the early stages of writing my first book. Take care of yourself, your mind and your body first and foremost. If you are staying active, healthy, confident and secure in your own self, it will show! If you give everything to your job and let yourself go, your energy will wane and you can start becoming resentful of the work you once loved. My father is a saving grace. He was Ringo Starr’s manager my whole upbringing and has always been an entrepreneur. He has so much energy and always has my back. He has been through the ups and downs of business and always advises me based on his own experiences. I always call him first when having a work-related crisis and he always reminds me that its reparable, and likely in the scheme of things, it’ll be a small hiccup not a huge deal. My day begins and ends by reading hundreds of testimonials from people who have lost weight with my program, the 2B Mindset. If you go to #2Bmindset on instagram and facebook, you can explore a large community of 2B mindset success stories. I particularly love when people not only post their physical weight losses but also their behavioral and emotional successes feeling more in control and healthy with their food and bodies. As a young teen in weight loss (“fat”) camp, I used to take a step aerobics class that was fun, yet challenging. At the end of the class, the instructor would scream, “when I say ‘hard work,’ you say ‘pays off!’ We’d yell, “HARD WORK, PAYS OFF, HARD WORK, PAYS OFF.” To this day, I hear it in my head. I’m sure I’m not the only one to say this but I would love to meet with Oprah Winfrey. I know that I would be the one person to truly help her overcome her weight and food issues once and for all. I know for a fact that I would share insights and tools with her that she has never heard or applied before and that she could end the weight loss battle and keep her weight off for good.